Cameron Ferris is young woman who has moved from Oregon to the big city of San Francisco seeking an exciting life. She has found a rather dull job as a clerk in a warehouse. For a while she lived in a lodging house for women, but has recently moved into an apartment of her own. She is interested in Roger Tripp who works in the warehouse, but nothing serious has come of it. When she tells Roger of her boredom with the job, he suggests that she get away for a long weekend, and she leaves to spend the weekend at what turns out to be a dull hotel where it rains without stopping. Cameron had planned to return on Monday, but the rain and boredom was just too much, and she decided to return on Sunday. This decision lead to the most exciting events of her whole life. The bus she was on returning to San Francisco broke down. Her luggage was lost. She finally got to San Francisco and took a cable car to her apartment. She entered her building and walked up the four flights of steps to her apartment. When she entered it, she found that it was occupied by a man she had never seen before, her belongings were gone, and there were things in the apartment which had been changed. The man tells her that this is not her apartment. She suggests that they talk to the landlady, Mrs. Ulrichson. The man tells her that there is no landlady, but there is a landlord named Bassett. And he is right. After they talk to Mr. Bassett, Cameron is totally confused. She has no apartment, no luggage, and very little money. She does have an idea of how to prove the apartment is hers, and she returns to talk to the man, Barney, who seems to be living there. When they talk, she reveals that she has heard a baby in the next apartment. Barney tells her that she now cannot leave the apartment. She has become involved in a plot to capture the kidnappers of the baby of San Franciscan, Walter Cleveland who is the managing editor of a San Francisco newspaper. She meets others involved in the plot and she becomes more and more confused about who are the good guys and who are the bad guys. She cannot tell if Barney is trying to find the baby or is the ring leader of the plot. Cameron is plucky and she carries on despite her confusion and some wrong decisions to finally save the day. 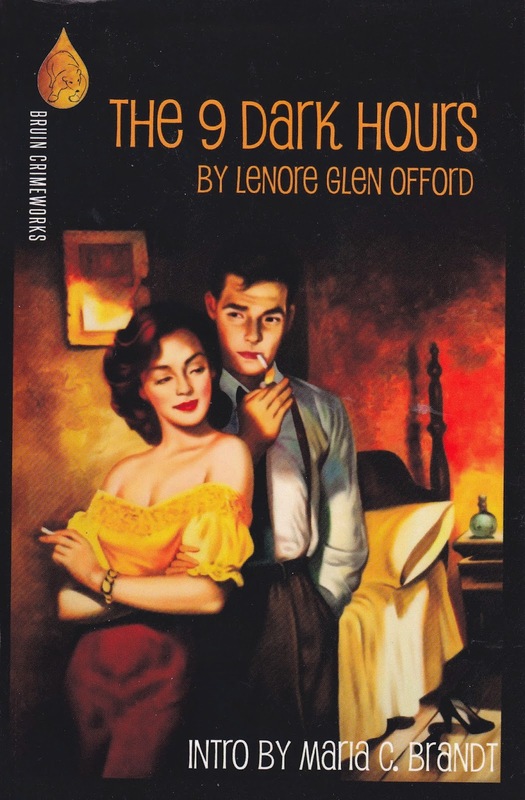 Lenore Glen Offord began writing mystery novels in 1938. She was a founding member (along with Anthony Boucher) of the California Chapter of the Mystery Writers of America. She was also the reviewer of mystery novels for The San Francisco Chronicle for many years. She received an Edgar Award for mystery criticism in 1951. She was an expert on Sherlock Holmes, and was admitted to membership in the Baker Street Irregulars in 1958. This group had denied admission to women before Offord came along, and it would be decades before another woman was admitted. Thanks for this review...another author that I'd hadn't heard of before and one to put on my list to try and find when I'm on my used bookstore hunts.